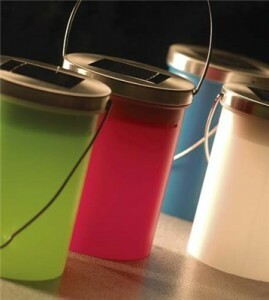 Colourful party lantern in assorted colours. Suitable for hanging and table top use. Stainless steel lid. Monocrystalline solar panel. On/off switch.